We have a very large garden and I always plant flowers in it for cutting. Each year, I also plant a variety of sunflowers. The tall Mammoth grow to 12 feet or more. We save their large heads for the birds. I also plant multi-stemmed and many colors ranging from orangey red to deep maroon. 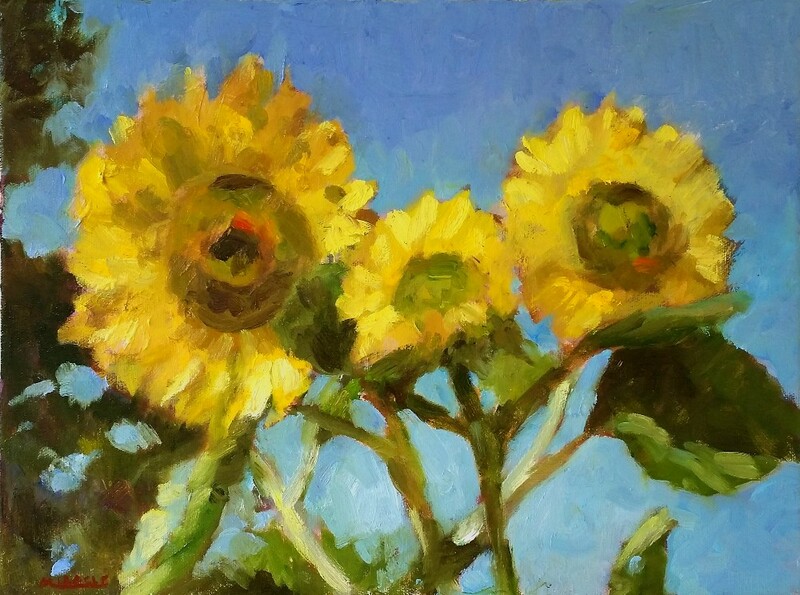 Needless to say, I’m drawn to painting their cheerful faces and usually tackle a few sunflower paintings each summer. Here are two of my recent works. I will probably paint several more which I’ll show on my website. KGMiracle.com Check them out. 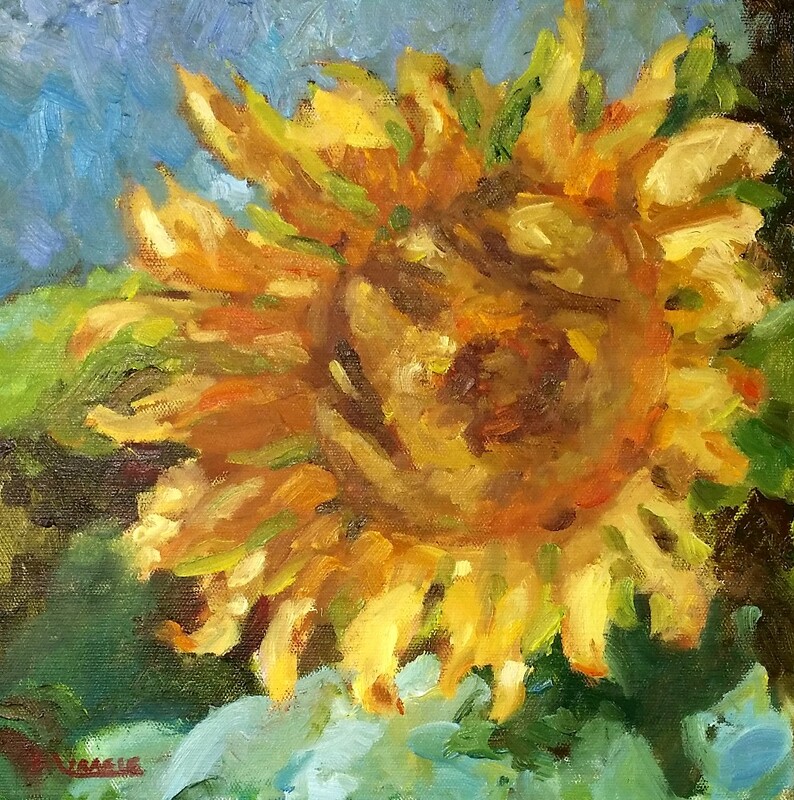 This entry was posted in Uncategorized and tagged country living, flowers, kit miracle, sunflowers, van gogh. Bookmark the permalink.